Oprah Winfrey (1954 – ) Influential talk show host, author, philanthropist, actress and media personality. Oprah Winfrey has played a key role in modern American life, shaping cultural trends and promoting various liberal causes. Through her talk shows and books, she has focused on many issues facing American women. She has been an important role model for black American women, breaking down many invisible barriers. Oprah WinfreyOprah Winfrey was born in Kosciusko, Mississippi. Her parents were unmarried and broke up soon after conception. Oprah had a difficult childhood. She lived in great poverty and often had to dress in potato sacks for which she was mocked at school. She was also sexually abused at an early age. From the age of 14, she went to live with her father. 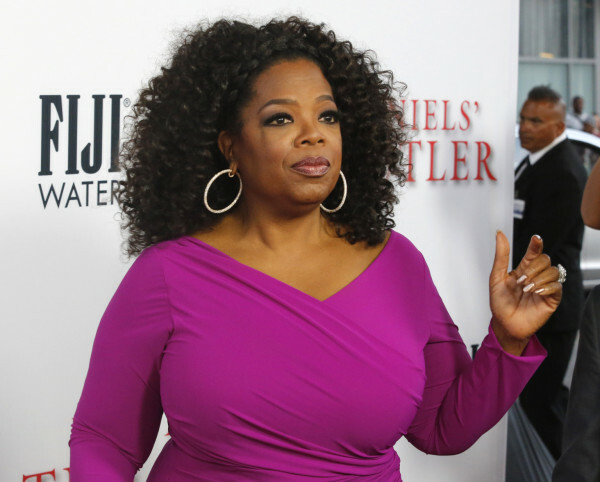 Oprah says he was strict, but she was in the mood to be disobedient during her teenage years. After working her way through college, she became interested in journalism and media and got her first job as a news anchor for a local TV station. Her emotional style did not go down well for a news programme, so she was transferred to an ailing daytime chat programme. After Oprah had taken over, the daily chat show took off, and this later led to her programme – The Oprah Winfrey Show. 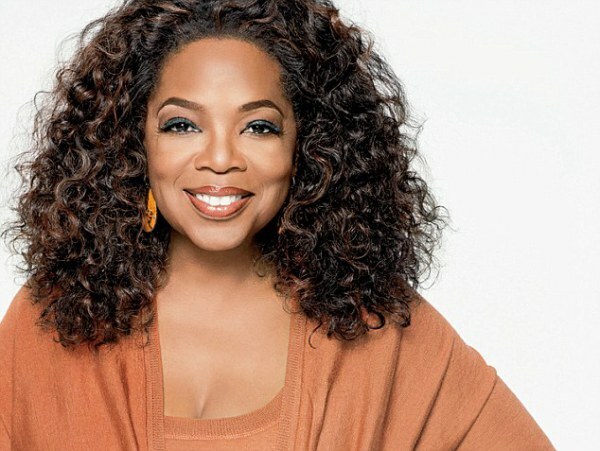 The Oprah Winfrey show has proved to be one of the most successful and highly watched TV programmes of all time. It has broken many social and cultural barriers such as gay and lesbian issues. Oprah has also remained a powerful role model for women, and black American women in particular. She is credited with promoting an intimate confessional form of media communication, which has been imitated across the globe. In recent years, the Oprah Winfrey show has focused on issues of self-improvement, spirituality and self-help. 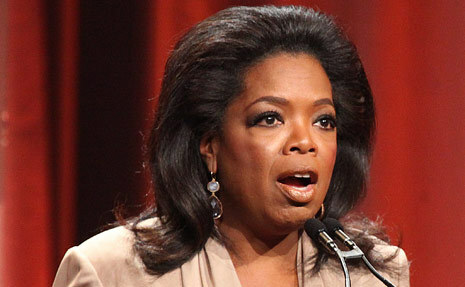 Diet has also been a big issue with Oprah once successfully losing a lot of weight. Her subsequent diet book sold millions of copies. Oprah Winfrey has promoted many spiritual books, which have focused on the aspect of taking responsibility for your life – not changing your circumstances, but changing the way you look at your life. What I learned at a very early age was that I was responsible for my life. And as I became more spiritually conscious, I learned that we all are responsible for ourselves, that you create your reality by the way you think and therefore act. You cannot blame apartheid, your parents, your circumstances, because you are not your circumstances. You are your possibilities. If you know that, you can do anything. Her range of media enterprises has made Oprah one of the richest self-made women. The Forbes’ international rich list has listed Winfrey as the world’s only black billionaire from 2004 to 2006 and as the first black woman billionaire in world history.In 2014, Winfrey had a net worth more than 2.9 billion dollars. The Oprah Winfrey book club has become the most influential book clubs in the world. A recommendation from Oprah Winfrey frequently sends books to the top of the best-seller lists. 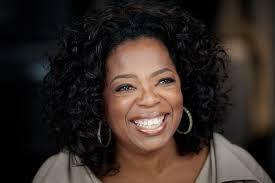 Many commentators agree that Oprah Winfrey exerts enormous influence. Some estimated her support for Barack Obama helped him gain 1 million votes in the 2008 election. Oprah Winfrey was also nominated for an Oscar in the film – A Color Purple. Produced by Steven Spielberg, the epic Color Purple told of segregation in America’s deep south. Oprah was widely admired for her role as Sofia. From 2006 to 2008, she lent her support to the Presidential campaign of Barack Obama. Her influence and personal following played a key role in helping Obama to become the first African-American to become president. In 2013, Oprah gained a unique interview with the professional cyclist, Lance Armstrong. It was on Oprah that Armstrong finally made a dramatic confession that he had used performance enhancing drugs during his cycling career.